Editor’s Note: Apologies for the late release of this issue. For centuries, human beings have been fascinated by the sightings of rare creatures whose existence have never been proven due to lack of evidence. 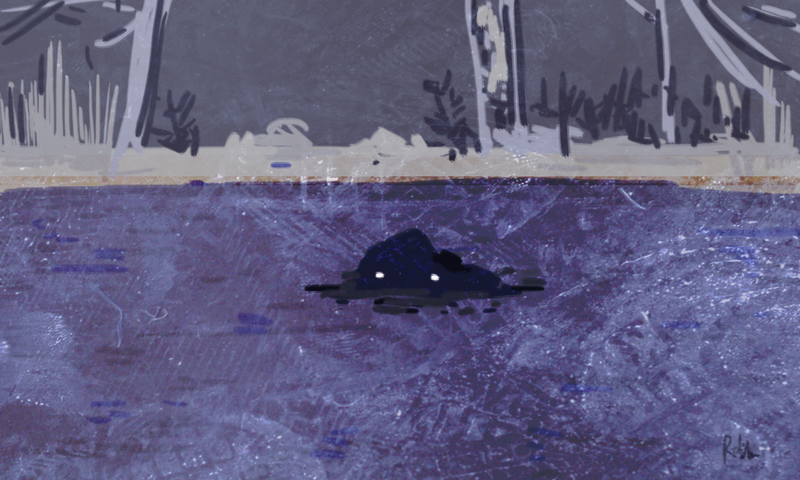 The Loch Ness Monster, Yetis, Bigfoot and El Chupacabra are some of the more commonly known mythical monsters that are thought to exist in mountains, forest and lakes; yet have remained permanently elusive, and never quite ready to pose for an Instagram post. The study of such rare animals (known as cryptids) is known as cryptozoology, a pseudoscience that relies heavily on anecdotes, stories and alleged sightings. While this method is not scientifically ‘sound’; cryptozoology does have the power to capture the imagination. Perhaps by its very elaborate and fictional nature, it plays into this primordial instinct of people to believe in the paranormal and supernatural. Many of these legendary creatures have spawned their own mythology and folklore in cult circles; yet are often ultimately dismissed as mere flights of the imagination; hoaxes or illusions that hold no reality. One such cryptid that originates from Australia, is that of the Bunyip. In Aboriginal mythology, the bunyip was said to lurk in swamps, billabongs and creeks; a ravenous creature that preyed on humans straying into its territory. Bunyips were well known as a cultural fabric of Aboriginal beliefs, but curiously, as Europeans settled Australia in the early and mid 19th century, further known written accounts were made of the Bunyip, resulting in many variations of the creature across regions. The word bunyip loosely translates in Aboriginal Australian as ‘devil’ or ‘evil spirit’. Images of a devil-like form do take on many visages, with oddly differing accounts. In 1847, the Moorundi people, a tribe that live near the Murray River in New South Wales, described the Bunyip as an enormous starfish. Europeans concluded that the pure dread that filled Aboriginals who thought they had seen a bunyip transcended what they could describe in language. By the 19th century, newspaper accounts had morphed the image of a bunyip to have a dog-like face. Yet, the evolution of this image spawned multiple unreliable accounts. Sometimes, it was a crocodile head, dark fur, a horse-like tail, flippers, walrus tusks or a duck-like bill. The wildly varying accounts of both native Aboriginals and foreign settlers appear to have some form of mistaken identity on both sides. For early european settlers, the notion that the bunyip was actually an unknown and odd species of Australian fauna (particularly since animals like the Kangaroo, Echidna or Platypus were very peculiar to them) was accepted as a common truth. On the Aboriginal side, the legends of the bunyip were said to be cultural memories or encounters with fossils of prehistoric bones. Extinct marsupials such as the Diprotodon, Zygomaturus and Nototherium are said to be identified as ‘bunyips’ by Aboriginals when shown fossils. The bunyip is an interesting case of an amorphous cryptid, one that has never reached the same level of uniform, mythical imagery as some of its other counterparts. By the 1850’s, the word bunyip had also developed a definition synonymous with ‘impostor, pretender or humbug’ a nod to the fact that this creature was in fact not quite what it seemed. In 1853, ‘bunyip aristocracy’ was used to describe normal Australians aspiring to be more prestigious or aristocratic than they were really were. Belief in the bunyip or any cryptid, seems foolish on face value; and yet so many stories that form culture, faith and religion start in the acceptance of the implausible as truth. Perhaps there is still a bunyip out there in the Australian wild, hiding in waterways beneath the surface. Perhaps it will be different by the time you see it.